The SDriveXEL is a derivative of the well-known SDrive floppy emulator by Robert Petružela (Bob!k) & Radek Štěrba (Raster) . Their creation helped bring the Atari 8bit computer storage options into the 21st century. First produced in 2008, the SDrive was a masterpiece of simplicity. Tragically Radek Sterba(Raster) was killed in a traffic accident not long after the release. Their source material can be found at this website. 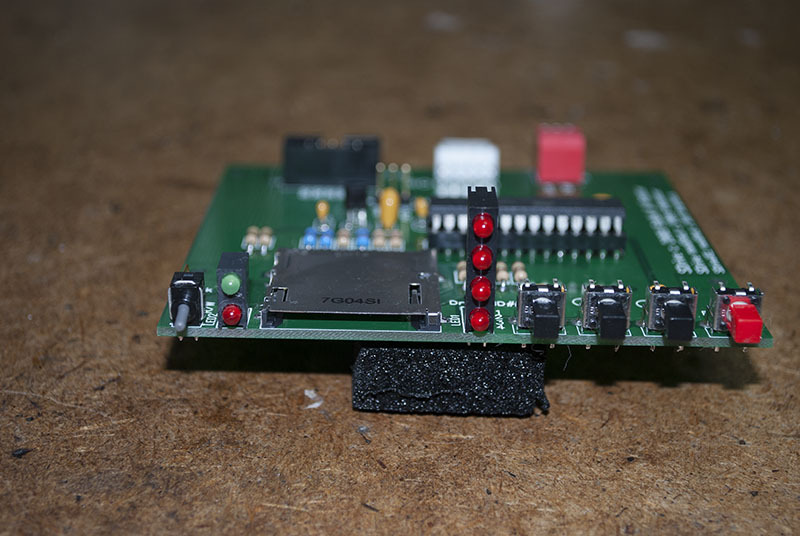 Some years later another AtariAge.com contributor Steve Vigneau (c0nsumer) decided to take up the project and produced a more refined version, easier build, a real SIO connector option and the ability to program the AVR chip on-board. I was able to snag two of his boards and both are still running and being used some six years later. His project page is at this site. Now with the release of the 1088XEL project by Mytekcontrols, once again I believe SDrive’s time has come to shine. 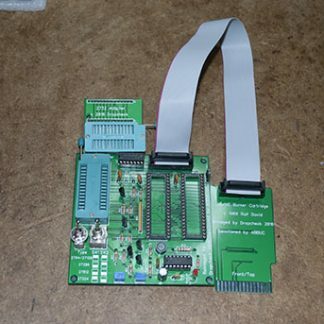 The idea of the 1088XEL project was to put the essence of an Atari 8bit machine into a small form factor pcb that would fit inside a standard off the shelf PC enclosure, namely a mini-ITX case. 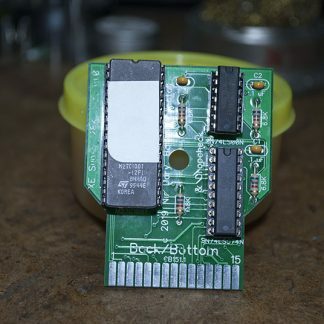 That succeeded very well, unfortunately that also meant that the normal storage medium for an Atari 8bit remained external to the main computer case. I felt that if we were dragging the Atari 8bit kicking and screaming into the PC world, at least we should also force the storage medium to live inside the case as well. Many mini-ITX tower cases also retain both a 3 1/2″ and a 5 1/4″ drive bays despite their diminutive sizes. 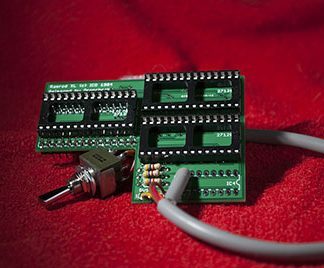 This led to the idea of re-imaging the SDrive to fit a 3 1/2″ PC drive bay and make it compatible with the 1088XEL project board. With drive bay adapter rails it should also fit a 5 1/4″ drive bay as well. Aside from the pcb redesign, I’ve also changed this version of SDrive to allow for a more modern AVR programming option. So few pcs now have serial connectors on them, that I decided to update the method of programming the AVR chip to a USB option compatible with USBasp. Minor changes were made to the led display options and to change to an all front facing set of frequently used controls. 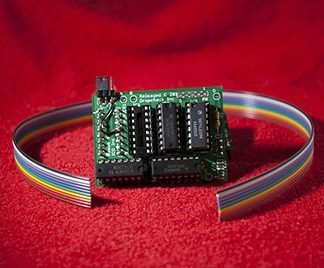 The SDriveXEL will be powered via a cable from the SIO Aux connector on the 1088XEL, no additional power/data cabling is needed. The SDriveXEL should function identical to either the original SDrive by Raster or the upgraded version by c0nsumer. It will also have the limitations of both. The one remaining item is the front face plate. 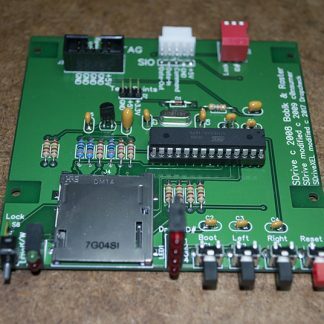 Due to the redesign of the board, the original faceplate by c0nsumer is not compatible. I have developed a 3D printable plastic faceplate and that file is listed in the docs segment for download. The board will come completely assembled, populated and programmed and tested. Screws will be provided to attach the SDriveXEL to the 3 1/2″ drive bay tray. Power/Data keyed cable upto 12″ long also provided. 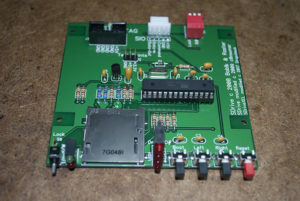 This board is not designed to be used external to a mini-ITX case. ABBUC members will recieve a 10% discount to be refunded once membership is confirmed. Please note membership in notes section of checkout screen.